Due to increasingly limited water resources, diminishing farmland acreage, and potentially negative effects of climate change, an urgent need exists to improve agricultural productivity to feed the ever-growing population. Plants interact with microorganisms at all trophic levels, adapting growth, developmental, and defense responses within a complicated network of community members. Endophytic fungi have been widely reported for their ability to aid in the defense of their host plants. 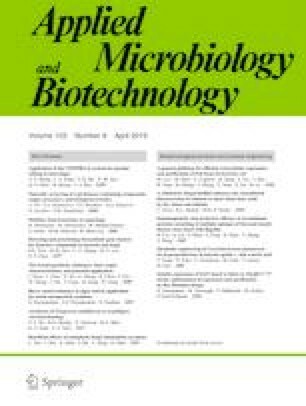 Currently, many reports focus on the application of endophytic fungi with the capability to produce valuable bioactive molecules, while others focus on endophytic fungi as biocontrol agents. Plant responses upon endophytic fungi colonization are also good for the immune system of the plant. In this paper, the possible mechanisms between endophytic fungi and their hosts were reviewed. During long-term evolution, plants have acquired numerous beneficial strategies in response to endophytic fungi colonization. The interaction of endophytic fungi with plants modulates the relationship between plants and both biotic and abiotic stresses. It has previously been reported that this endophytic relationship confers additional defensive mechanisms on the modulation of the plant immune system, as the result of the manipulation of direct antimicrobial metabolites such as alkaloids to indirect phytohormones, jasmonic acid, or salicylic acid. Furthermore, plants have evolved to cope with combinations of stresses and experiments are required to address specific questions related to these multiple stresses. This review summarizes our current understanding of the intrinsic mechanism to better utilize these benefits for plant growth and disease resistance. It contributes new ideas to increase plant fitness and crop productivity.